Planning your garden is designing an extension of your home. 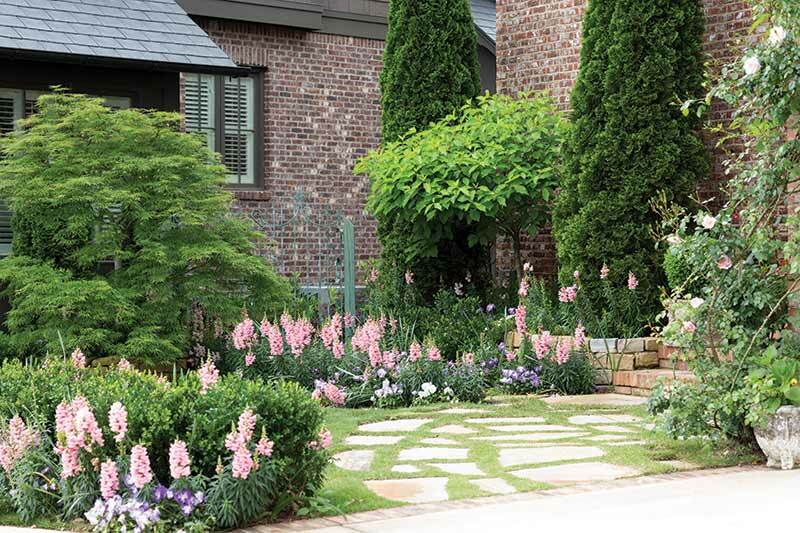 Cottage gardens that are carefully planned and developed can be as dreamy as the home in which you live. In fact, I consider the garden an opportunity to surround myself with plants that fill me with contentment and delight. 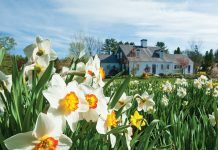 With each leaf that puts forth and each bulb that returns year after year to bring a welcomed splash of color, the seasons come alive! If you don’t have much of a natural green thumb or if your garden space is limited, creating a charming hardscape is the way to go. When designing my garden, I wanted the house to have an English cottage design and feel as if it had been there for years. The fountain (below) is the centerpiece of my walled garden. It is the simple trickle of water that soothes my soul and brings peace year-round, and it’s the hardscape elements that shine while the surrounding flora sets a charming scene. 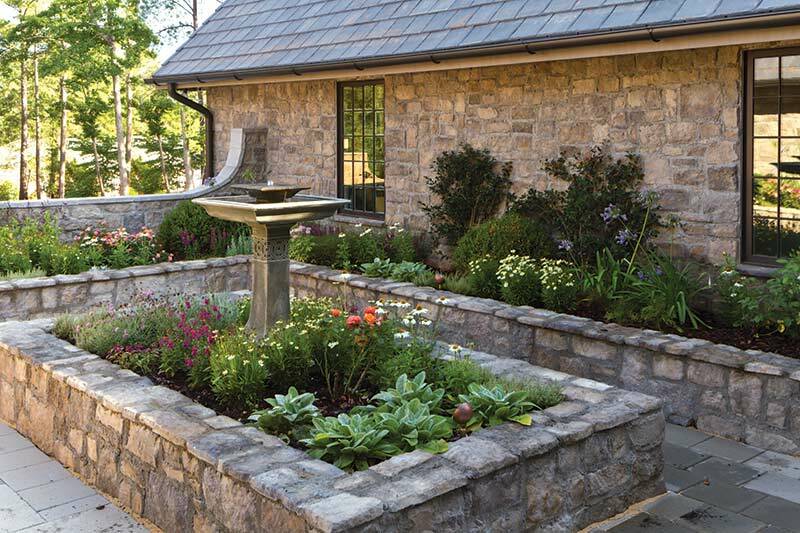 To create this delightful vintage-inspired English cottage garden, we mortared the Eldorado stone surrounding the home and garden to create an older look, making it seem as though our new build had been aging gracefully for decades. To keep the vintage look as authentic as possible, we used synthetic slate from DaVinci Roofscapes for the roof of the home. And although synthetic, it’s often mistaken for authentic aged slate. Raised beds are truly wonderful. You can fill them with carefully blended soil that will nourish your plants. 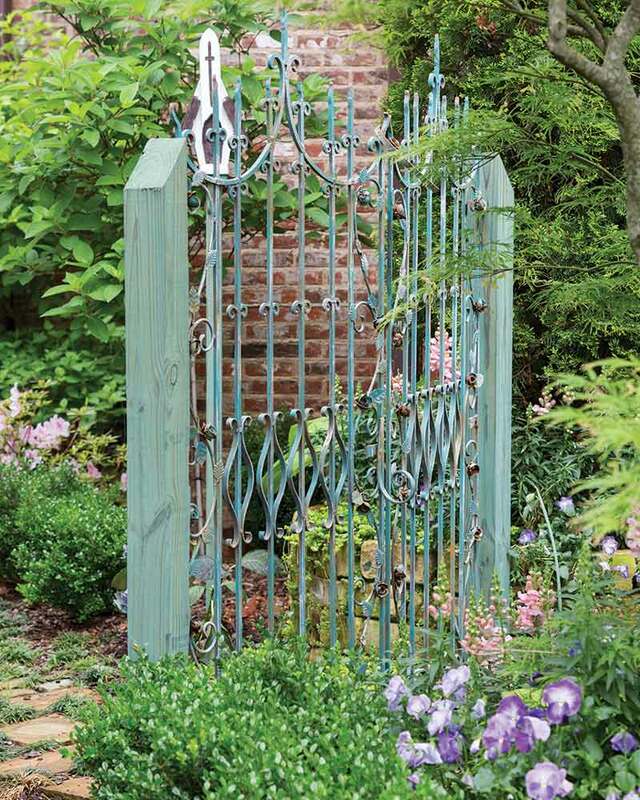 If you are lucky enough to have a place for a garden gate, select one that makes you smile. An additional architectural element in the garden could easily be the highlight. 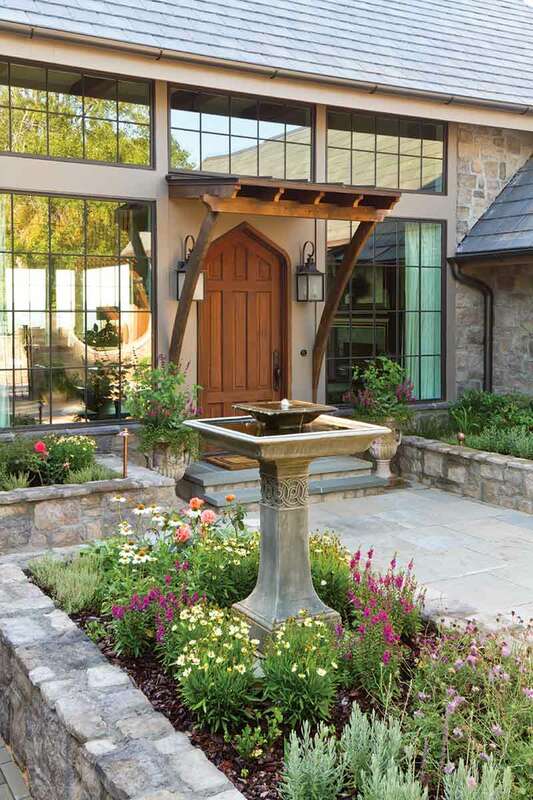 Garden fountains and containers offer a place for a focal point. My garden has flowers randomly placed in bunches. 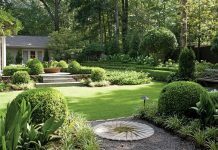 Other people prefer a very formal garden where plants are grown equal distances from one another. These are fabulous, too. Your garden must make you happy. 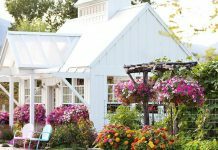 Whether you have a tiny vine that creeps along year after year or bulbs that bloom like a choir standing in rows, fill your special place with flowers, shrubs, and vines that you enjoy. 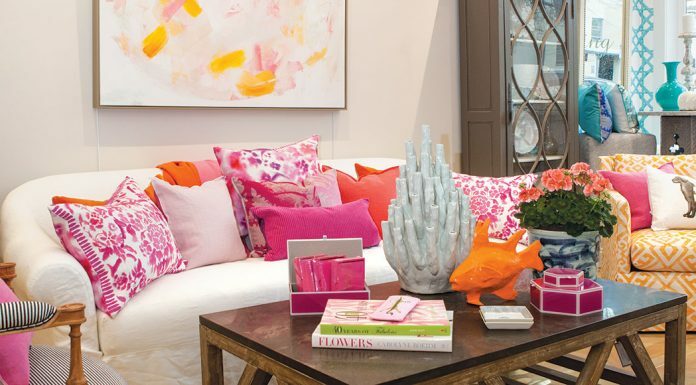 Add something new each year and, soon, you will find you have surrounded yourself with all things beautiful. 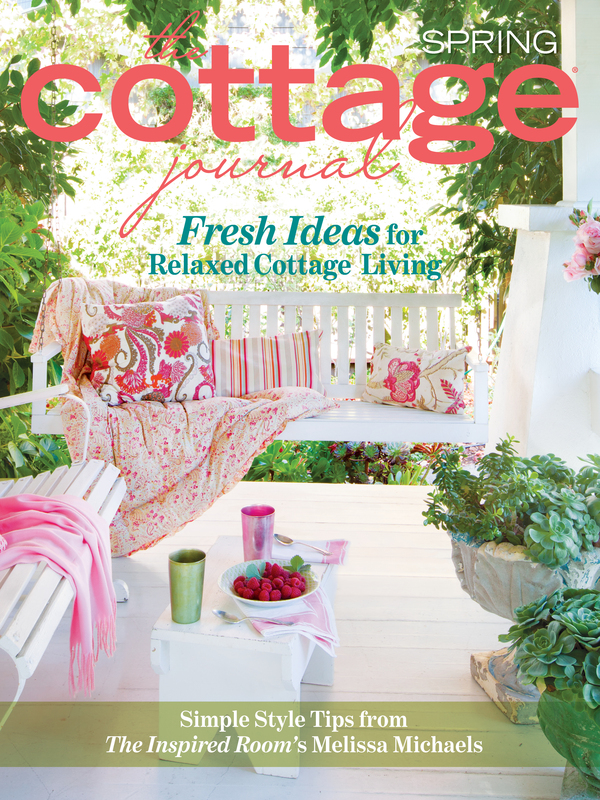 For more garden inspiration, check out the issue below!